he story of life on earth unfolds in dramatic fashion in this amazing picture book that takes readers from 4.6 billion years ago to the present day. 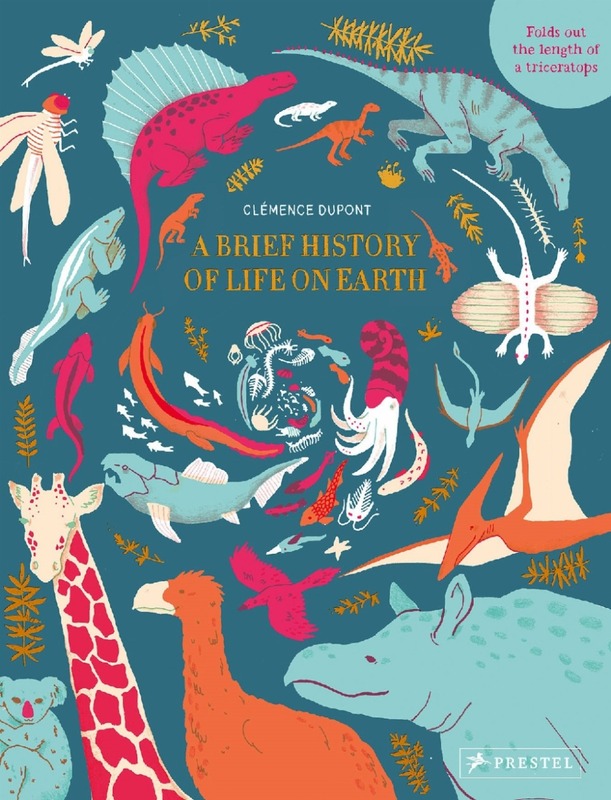 It’s difficult to grasp the enormous changes life on Earth has undergone since it first came into existence, but this marvelously illustrated book makes learning about our planet’s fascinating history easy and entertaining. In an accordion style, the series of pages take readers through every major geological period, with bright artwork and detailed drawings. Opening on lava-filled oceans and smoking volcanoes, the book unfolds, era by era, to show how life evolved from tiny protozoa and crustaceans to dinosaurs and mammals. Fully expanded to 8 meters (26 feet), this spectacular visual timeline is a very impressive panorama that reveals evolution in all its glory. Each page is brimming with illustrations that readers will turn to again and again. A celebration of life, this extraordinary and beautiful book illuminates the history of Earth for young readers in an unforgettable and delightful way.